Last year, the National Hispanic Institute launched its first-ever #NHIDecisionDay, giving graduating seniors a way to announce, via social media, where they’ll be attending college. Though college is only part of the overall leadership journey for an NHIer, it’s an important one. NHI staffers, volunteers and supporters are proud to see NHI alumni selecting higher education institutions—including the College Register member schools that many NHIers choose in part because of what they learn about those schools during a summer program. This year’s #NHIDecisionDay will be on Friday, May 4—the weekday closest to the May 5 date NHI has selected for several reasons. One reason has to do with the 5/5 date—five being a significant number, in that 98 percent of NHI alumni choose to attend college upon graduating from high school, with 90 percent of those students graduating with an undergraduate degree within five years. Another reason, of course, is the Cinco de Mayo holiday; #NHIDecisionDay allows NHIers to add a layer of celebration to a Mexican holiday that is misunderstood and misappropriated by a great number of Americans. Future editions of #NHIDecisionDay will be on Friday, May 3, 2019 (since May 5 falls on a Sunday that year), and then will resume on May 5 in 2020 when the date falls on a Tuesday. To participate, graduating NHI seniors can fill out this brief questionnaire, and can take to Twitter, Instagram, and other social media platforms on Friday, May 4, tagging proud acceptance photos and announcements with the #NHIDecisionDay hashtag. 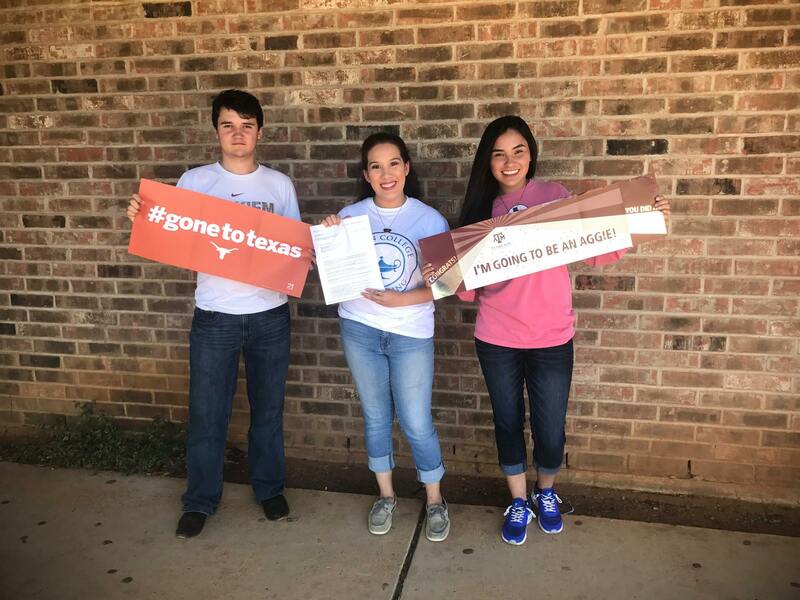 “A trio of students from Winn High School in Eagle Pass will all attend Texas Tech University together. Sisters Micaela and Annika Uriegas from Carrizo Springs, Texas decided to become rivals — Micaela will attend Texas Tech University while Annika will attend the University of Texas at Austin. Kiki Carretero, an NHIer from Panama City, Panama, announced his intention to go to UCLA. A number of students also chose NHI host schools, including Augustana College, home of the Midwest Great Debate, Our Lady of the Lake University, which hosts the Texas Star Great Debate, and the University of San Diego, which brings students to Southern California each year for the California LDZ. We’re excited to learn where our Class of 2018 alumni are headed!